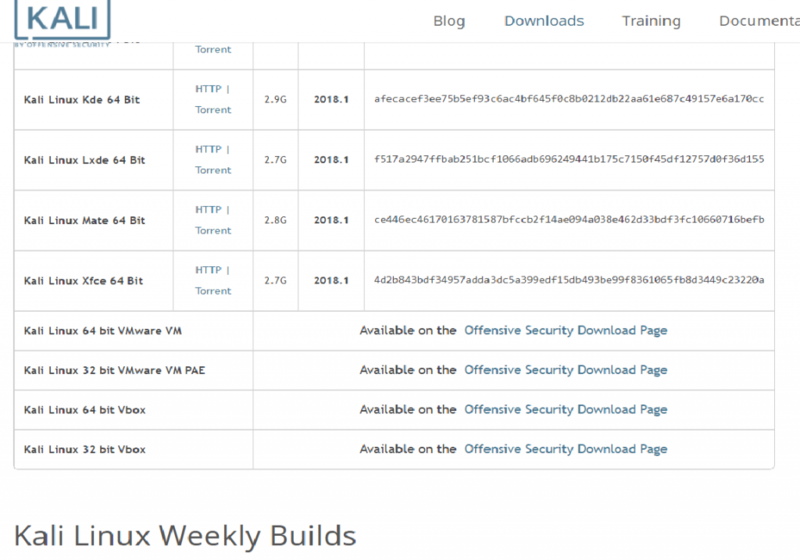 In this post, I will give a simple tutorial on the installation of Kali Linux using Virtual Box. 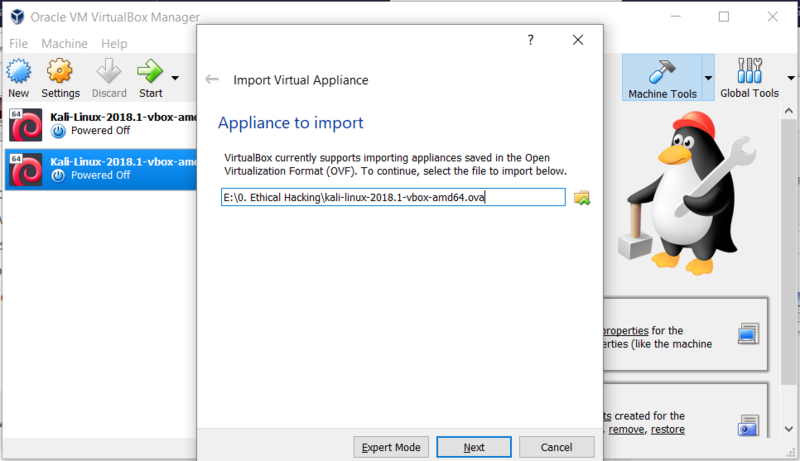 First go to https://www.virtualbox.org/wiki/Downloads and install Virtual Box for Windows. 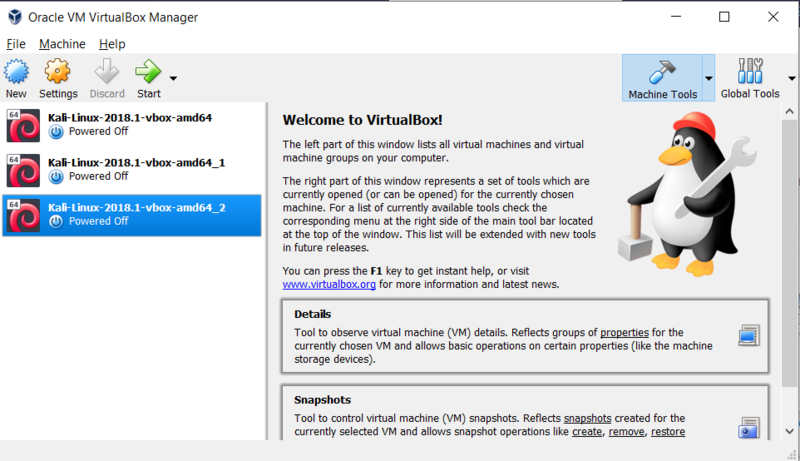 After you go to the website, download the VBox for the windows host and the VBox extension pack. Install the Vbox. 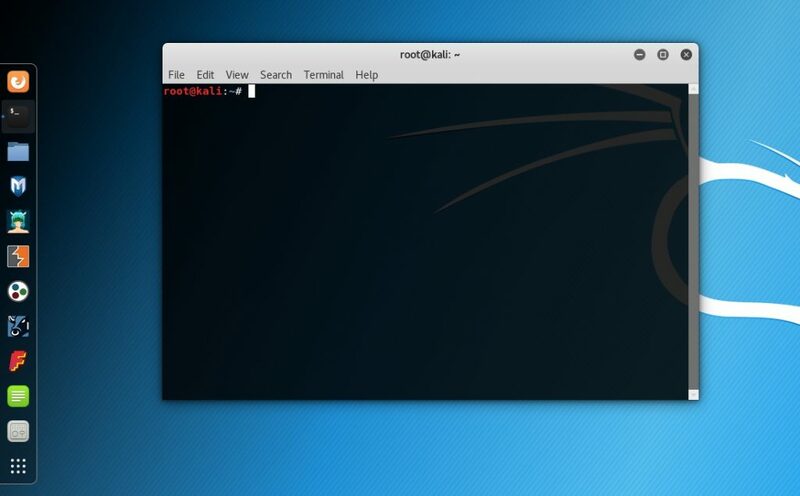 Then, go to https://www.kali.org/downloads/ to download Kali Linux based on your Laptop’s architecture. Now, we have downloaded all the prerequisites and just need to install them on your laptop. After finishing the VBox installation, open it. Click File -> Import Appliance, then select the kali linux file that you downloaded earlier. After this, Kali Linux is ready to use. 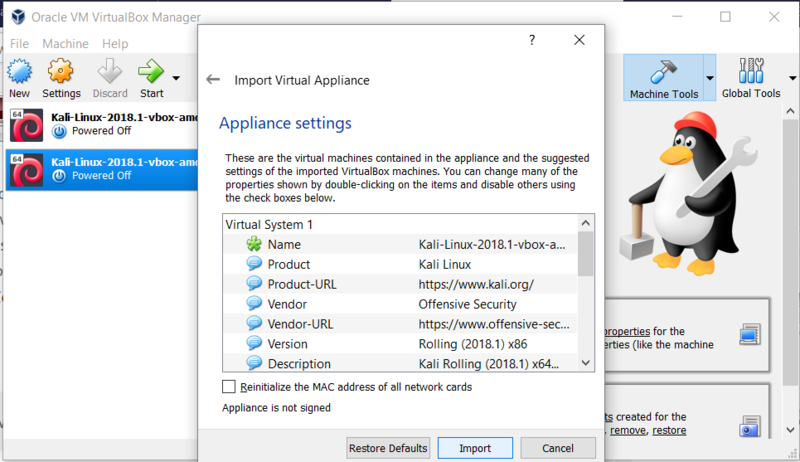 Double click the new VM to open Kali Linux. After you have successfully logged in, the following will be displayed. This entry was posted in Uncategorized on April 7, 2019 by sherlynchance.